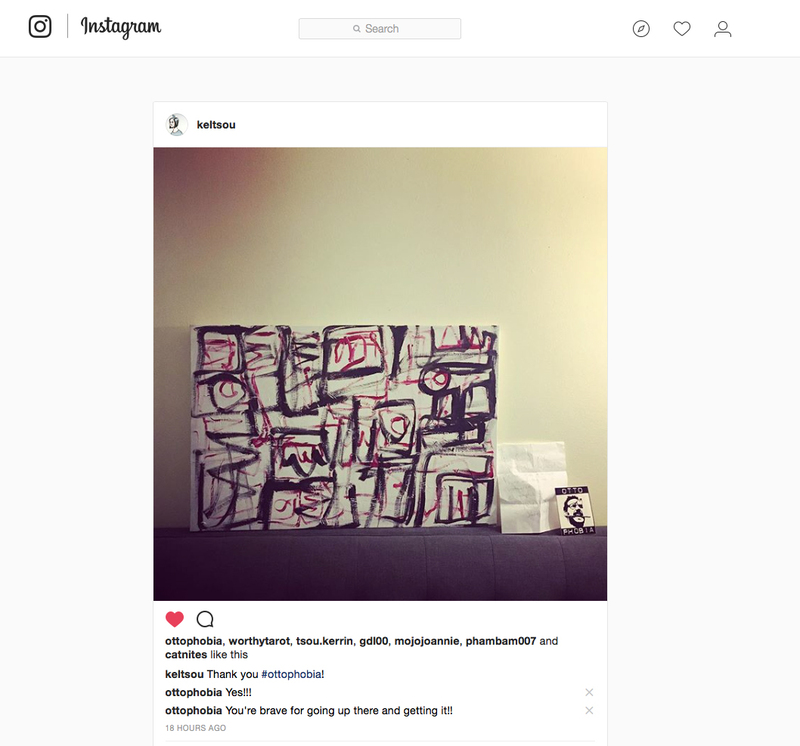 Los Angeles, CA – September 28, 2017 – Emerging Artist Johnny Otto has, for the last 6 months, been hiding a piece of his art work somewhere in Hollywood and then leaving clues on his instagram and other social media so that his fans can search for it, and, if they find it, they keep it. Instagram Follower found Johnny Otto's painting on the roof of Aroma Cafe on Sunset Blvd. 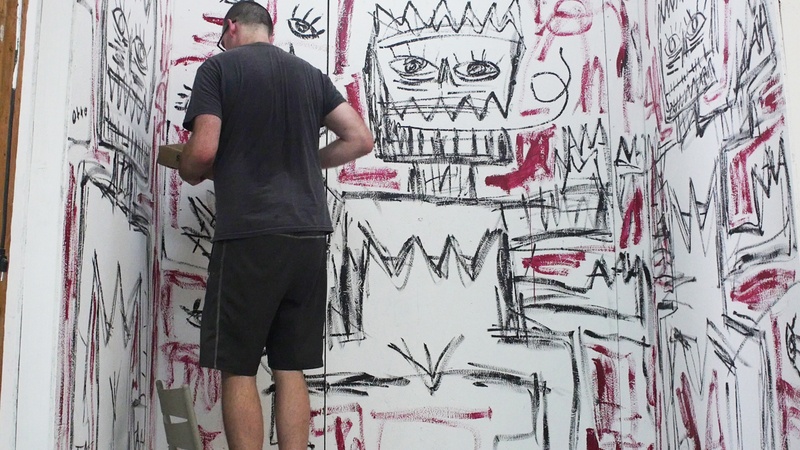 Johnny Otto is a prolific painter whose work has been compared to Jean-Michel Basquiat, George Condo, Picasso, Keith Haring, and many other influential artists of the last century. He lives and works in Los Angeles, CA. He has been part of the underground art scene in LA since the early 90’s when he took part in the Novian-Miller show “Mega Boys”. Other shows included the Angel Art Benefit hosted by David Hockney and Herb Ritts at the Pacific Design Center, shows at 01 Gallery, Ministry, Headquarters. Johnny Otto is also one of the Co-Founders of Art Squat, an artists collective which took over abandoned buildings in the 90’s and transformed then into galleries. He has most recently been part of Jeff Hamilton’s Street Art Fair and is curating a group show for the newly formed Union Gallery DTLA. He also has several large public mural projects in the works and is planning a major solo show for the early part of 2018.